Ashton, Iowa — A water main leak has caused water service interruption in Ashton. Ashton city officials report the water main leak is being worked on, however it could be noon all water service is back to normal. Des Moines, Iowa — Several of the Open Burning Bans in northwest Iowa have been lifted or will be lifted soon. We have received word that the O’Brien County Burning Ban was lifted on Wednesday. Sioux County is lifting their ban on Saturday. Osceola County lifted their ban on Thursday. At this point, the only county in the state with an active Open Burning Ban is Lyon County. The bans stay in effect until all the fire departments with some or all of their district in that particular county advise the State Fire Marshal’s Office that hazardous burning conditions no longer exist, or they let the county representative know, and the representative alerts the Fire Marshal’s Office. The representative is usually one of the fire chiefs or the County Emergency Management Director. Fire officials advise that even if burning is now legal where you live, we are still in an extreme drought situation, so they advise extra caution when burning. Robert Beving, age 72, of Sibley, Iowa, passed away on Wednesday, October 24, 2012 at Avera Heart Hospital in Sioux Falls, South Dakota. Visitation will be Saturday, October 27, 2012 with the family present from 1:00 to 3:00 P.M. at the Andringa Funeral Home in Sibley. There will not be a Funeral Service or Burial at this time. Online Expressions of Sympathy can be sent to www.andringafuneralhome.com The Andringa Funeral Home of Sibley in charge of arrangements for Robert Beving. Ocheyedan, Iowa — A rural Ocheyedan family is homeless after a fire caused extensive damage to the home they were living in. Ocheyedan Fire Chief Dan Hartwig reports that about 7:45 Monday morning (10/22), fire crews were called to 6429 180th Street. Hartwig says that’s a mile south of the Ocheyedan Mound and a quarter mile east. When they got there, Hartwig says they saw flames coming out of the bedroom window and a lot of smoke. He says they used water to fight the fire, and foam on the insulation. The home, owned by Sunrise Farms, sustained extensive damage. The chief estimates the damage may be in the $80,000 range. The cause is still unknown, but the chief thinks it may have been electrical in nature. The May City Fire Department was also called for water. Hartwig thinks about 9000 gallons was used to fight the fire. Fire crews were on-scene about two hours and twenty minutes. 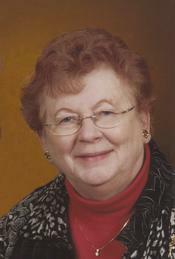 Corinne A. Philiph age 80 of Sibley, IA died Tuesday October 23, 2012 at the Avera McKennan Hospital in Sioux Falls, SD. Funeral service will be 10:30 a.m. Friday, October 26, 2012 at the Trinity Lutheran Church in Sibley, with Reverend James Berka officiating. Burial will follow in the Holman Township Cemetery in Sibley, IA. Visitation will be Thursday, October 25th from 2-8 p.m. with the family present from 6-8 p.m. at the Trinity Lutheran Church in Sibley. Corinne Ann Philiph was born in Sioux City, IA on January 19, 1932, the daughter of Darrel and Helen (Fields) Putnam of Ponca, NE. She grew up in Ponca, NE and attended and graduated from Ponca High School in 1949. After graduating she went to Wayne State Teachers College for two years. Following her teacher training she taught school in Correctionville, IA for a couple years and then moved to Sibley, IA, where she taught third grade. While teaching in Sibley Corinne then met Eugene Philiph and they were later married on August 15, 1954 at the First Presbyterian Church in Ponca, NE. To this union four children were born, Jeffrey, Douglas, SueAnn and Darcy. Corinne was a member of the Trinity Lutheran Church in Sibley and was very active as a Sunday school teacher and the church circle. She very much enjoyed bowling, golfing, going to Music and Theater Productions, and attending her grandchildren’s activities. She will be greatly missed. She is survived by her husband of fifty-eight years, Eugene Philiph of Sibley; four children, Jeffrey (Ann) Philiph of St. Louis, MO, Douglas (Marcia) Philiph of Des Moines, IA, SueAnn (Thomas) Jankowski of Clinton, IA, and Darcy (Robert) Ney of Sibley; eight grandchildren, Hannah and Rachel Philiph of St. Louis, MO, Amanda and Samantha Philiph of Des Moines, IA, Sean, Isaac and Jacob Jankowski of Clinton, IA, and Christina Loverde of Sibley; three great-grandchildren, Arianna, Brenna and Bentley of Sibley; brother, Thomas (Julie) Putnam of Seattle, WA; sister, Sallie (Lonny) Book of South Sioux City, IA; sister-in-law, Sonja Putnam of Norfolk, NE; and many nieces, nephews and other extended family. She was preceded in death by her parents; sister, Marcia and her husband John Peterson; and a brother, Dr. Jon Putnam. In lieu of flowers memorial are preferred to the Trinity Lutheran Church Building Fund. Funeral service will be held Wednesday morning (October 24th) at 10:30 a.m. at Bethel Lutheran Church in Sutherland, Rev. Duane Jalas officiating, with burial to follow at Waterman Cemetery in Sutherland. Visitation will begin at 5:00 p.m. Tuesday, with the family present from 5:00 – 7:00 p.m., at the Warner Funeral Home of Sutherland, which is in charge of the arrangements for 93-year old Harold Dau of Sutherland. Des Moines, Iowa — The latest U-S-D-A report shows the 2012 harvest season is nearly over in Iowa. The corn harvest is a full month ahead of schedule. Last year at this time, only 40 percent of the corn had been combined. As of last Friday, 87 percent of the state’s corn crop had been harvested. Ninety-three-percent of the state’s soybeans were in the bin by the end of last week. That’s three weeks ahead of normal. The report noted “substantial rain finally arrived over much of Iowa over the weekend” with “over an inch” falling in many areas. Topsoil moisture levels improved, with 21 percent of the farm ground in Iowa considered to have “adequate” moisture in the top layer of the soil. However, 95 percent of the state’s subsoil is considered to be “short” or “very short” of moisture. Iowa Secretary of Agriculture Bill Northey says that some farmers received welcome moisture this past weekend, as many wrap-up harvest and see soils that are very dry and will need significant rainfall to replenish both topsoil and subsoil moisture levels. He says now that many farmers have completed harvest, it is important that they wait for soil temperatures to be below 50 degrees and falling before doing anhydrous ammonia applications. 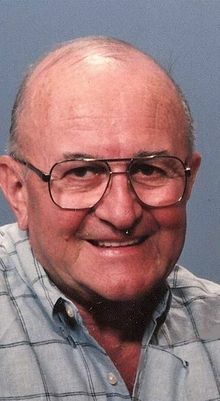 George Loof, age 86, of rural Ocheyedan, Iowa, passed away on Monday, October 15, 2012, at the Country View Manor in Sibley. Funeral Services will be Thursday, October 18, 2012 at 10:30 A.M. at the First Presbyterian Church in Sibley. Rev. Terry Simm officiating. Burial in the Holman Township Cemetery in Sibley. Visitation will be Wednesday, October 17, 2012 from 2:00 to 8:00 P.M. with the family present from 7:00 to 8:00 P.M. at the Andringa Funeral Home in Sibley. Iowa’s early muzzleloader deer season begins October 13 for the 7,500 muzzleloader hunters taking part in the nine-day season. Hunters can expect deer behavior to begin changing as the breeding season, or rut, gets closer. Bucks will begin to make scrapes and rubs and they can become more secretive. “Hunting sites near any remaining green forage or acorns, or trails connecting them to bedding areas are good bets during this season,” said Tom Litchfield, state deer biologist with the Iowa Department of Natural Resources. Muzzleloader hunters are required to wear blaze orange but should remember they will be sharing the woods with well camouflaged bowhunters and others who enjoy the fall countryside. Hunters may notice an impact on the local deer population in certain areas from Epizootic Hemorrhagic Disease. Nearly 2,000 EHD cases from 58 counties have been reported. The early muzzleloader season runs through October 21 and hunting hours are from one-half hour before sunrise to one-half hour after sunset. While the paid license quota filled; landowner-tenant licenses, depredation licenses and some special hunt licenses mostly associated with urban areas are available. These special hunts, listed in the Iowa Hunting and Trapping Regulations, often have extra requirements and the local host organization should be contacted for more information. Hunters should properly identify the target and what is beyond the target before taking a shot. All deer taken must be reported using the harvest reporting system by midnight the day after the deer is recovered. For hunters with Internet access, the online harvest reporting is the easiest way to register the deer. Last year, hunters reported harvesting 4,450 deer in the 2011 early muzzleloader season. Accurately reporting the harvest is an important part of Iowa’s deer management program and plays a vital role in managing deer populations and future hunting opportunities. Hunters can report their deer online at www.iowadnr.gov, by calling the toll free reporting number 1-800-771-4692, or at any license vendor. Also many hunter education classroom and online/field day courses still have seats available. Classes are listed on the Iowa Department of Natural Resources’ website at www.iowadnr.gov/training along with information on how to sign up. Classes can fill quickly so anyone needing to take a hunter education class is encouraged to sign up soon. Iowa law requires anyone born after January 1, 1972 to have successfully completed a hunter education course to purchase a hunting license. Children as young as 11 may enroll in the course, but their certificate of completion will not become valid until their 12th birthday. Des Moines, Iowa — If you are a MidAmerican Energy customer, your electric rates may soon be going up. The Iowa Utilities Board has approved a settlement agreement establishing an additional charge as part of MidAmerican Energy Company’s standard electricity rates for calendar years 2012 and 2013. The increase is due to the utility’s higher costs of environmental compliance and coal and coal transportation. The settlement allows MidAmerican to increase its annual electric revenue by $38.7 million or 4 percent in 2012, which was implemented in March, and an additional $37.3 million in 2013, for a total increase of 6.7 percent. Average residential customers are currently paying an estimated monthly electric bill increase of $2.33 for temporary rates in effect since March, which is to remain intact for 2012. In 2013, average residential customers can expect to see an additional $1.30 monthly bill increase, or a $3.63 total monthly bill impact. In February, MidAmerican filed a request to add two automatic adjustment clauses for its increased costs. In July, the Office of Consumer Advocate, MidAmerican, and the Iowa Industrial Group filed the proposed settlement agreement for the Board’s consideration and a joint motion asking that it be approved. The Iowa Industrial Group is a group of Iowa industrial employers that are major MidAmerican electric service customers. The Consumer Advocate represents the public interest in all proceedings before the Board. The Iowa Utilitiy Board’s decision order, based on the Board’s review of the evidence submitted in this proceeding, confirms that the electric revenue increase proposed by MidAmerican is reasonable and less than the amount MidAmerican likely would have received in a traditional rate case.